This book really taught me to trust my instincts. There's something in the book that was one of the first details that I came up with (I can't say what it is because spoiler) but it always seemed out of place. So much so that my critique partners kept telling me to cut it. But I kept saying, "No, there's a reason why it's there." And then, very late in revisions, I literally had an epiphany as to why that detail was there and it became a major point in the end of the book that tied the whole thing together. Deep in my gut, I knew that there was a reason for it to be there all along; I just had to wait for it to reveal itself. Then when I got my editorial letter from my editor, I had three weeks to turn the edits around. They weren't huge, but they were enough that it was a good deal of work. I had to work so fast that I didn't have time to second guess anything. I barely had time to read through the book when I was done before I had to turn it in. I even said to my editor that I had no idea how I felt about the edits because I was too close to them to see them clearly. I had to trust myself completely. And wouldn't you know it, my editor had no further notes. She loved everything I did and turned the book over to copyedits. It made me realize that working on pure instinct like that can be a wonderful thing. My road to publication was long and twisty and filled with the sorts of hurdles that most writers have nightmares about. My first novel was an epic historical fiction that took me six years to write. I landed an agent very easily with it - I queried one agent, my dream agent, and she signed me. I figured that if getting an agent was this easy, surely landing a book deal would be too, right? Haha! That book was rejected by pretty much every publisher in New York. After floundering around for a while, I wrote the book that would become my debut WINTER FALLS. We sold that in a three-book deal to a major publisher. A year and a half later, after being orphaned, the contract was cancelled. It was after that that I wrote THE FORGETTING, as a way to heal my heart after it had been broken by the publishing industry. 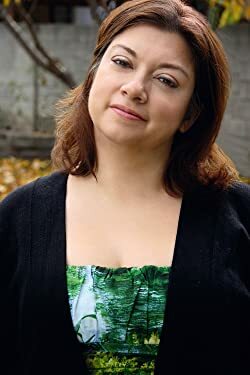 Six months later, we resold my cancelled books to Medallion Press (WINTER FALLS debuted in December; the second book in trilogy will be out in June). The first available slot on Medallion's publication schedule was two and a half years out. "Eh," I thought. "I've waited this long; what's two and a half more years?" 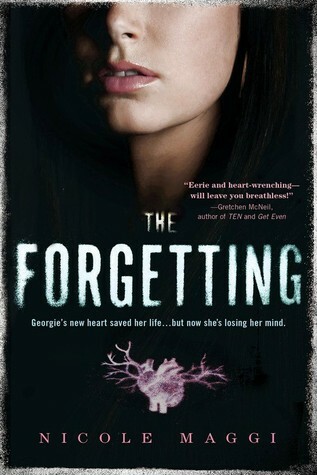 During those two years, we sold THE FORGETTING to Sourcebooks in a two-book contract. So in the span of a year and a half I went from having no contracted books to having five. I don't believe that good things come to those who wait. I believe that good things come to those who work hard, are persistent, and keep the faith. It has been almost ten years since I signed with my agent (and yes, she's still my agent and she's beyond fabulous) but now at long last I am able to hold my books in my hands and see the fruits of my long labor. I have to have music, and I'm kind of particular about what kind of music goes with each book, or each character depending on whose POV I'm writing in. I have playlists for all my characters, and I'll choose what kind of music to listen to based on what kind of scene I'm writing. I think part of the reason I need some kind of noise is because I wrote a lot of my first novel while I was working on the trading floor at a large investment bank. I'd be typing away in Word while people screamed trades over my head. So I'm used to chaos. I have a cute, cozy office in my house, but a couple of years ago I stopped being able to write there. I'm not sure why...maybe because there's so many distractions. I do occasionally work there, mostly when I'm writing blog posts or proposals. When I'm there, I like to light a scented candle and have some kind of beverage (coffee, tea or water) close at hand. But mostly I write in coffee shops. I have a few near me that are really great about leaving writers alone to just work. I'll order a latte or a pot of tea and something to nosh on while I work, plug in my headphones, and get to it. One of my favorite places serves really good pie so I use that as motivation. If I write a certain number of pages, I can get a slice of pie. Good for my word count, not so good for my waistline. I've never worked at a library. I think it would be too quiet for me! Right now I'm writing the third book in my Twin Willows Trilogy (Medallion Press). It's scheduled to come out in January of next year (the second book, IN THE MOUTH OF THE WOLF, releases June 9th). It's definitely a challenge, trying to wrap up everything in the final book and do justice to these characters that mean so much to me. I'm also developing the second book in my Sourcebooks contract. That book is tentatively scheduled for Fall 2016. It will be another thriller, like THE FORGETTING, but more of a spy thriller. Let's just say I was inspired by the T.V. show Alias.